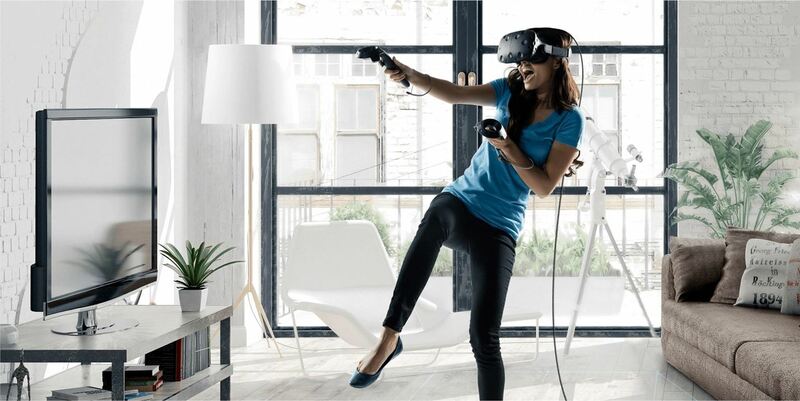 HTC Vive test runs have already been available at Microsoft Stores in New York City, Bellevue, and Salt Lake City, but starting April 16th, you'll be able to try Vive's virtual life out in select GameStop stores as well. They will have 10 retail locations across the US, and Microsoft will add 11 more Microsoft Stores stateside with testing stations toward the end of the month. Before you start making plans, though, there will be only one demo station in each store to account for the dimensions needed for the HTC Vive's room-sized experience. As explained by Dan O' Brien, a VP with HTC, the demo session will be about 10 minutes in length and feature four experiences, including the quirky Job Simulator, to allow for more people to try out the Vive without hassles. Thanks to a partnership with Dell, Alienware 51 PCs will power the sessions in-store. The demo stations will also be rolled out to more Microsoft retail stores later on this month in eleven more U.S. cities and in Sydney, Australia. One thing to note: GameStop won't have Vive headsets in stock for in-store puchasing; this is partly due to the fact that HTC is now handling a sizable amount of orders, which means some won't see theirs being shipped until June.